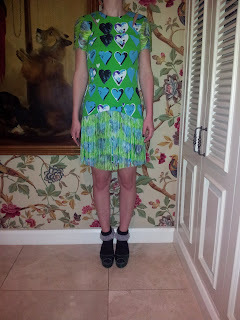 Green heart dress with fringing: Versace for H&M. Green glitter heels: ASOS. Black socks with frill: American Apparel.